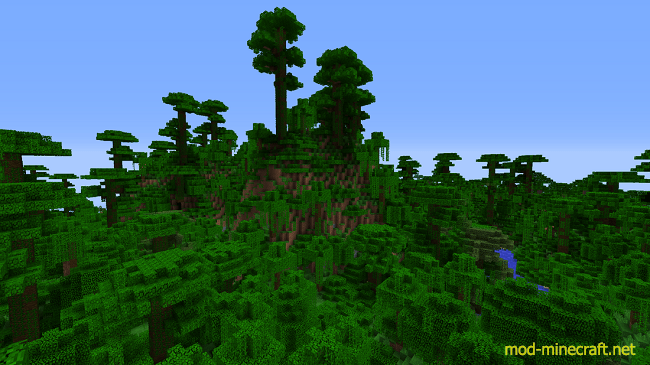 You can improve the jungle much better by using this mod. For example there is new content in it. Let me show you what! 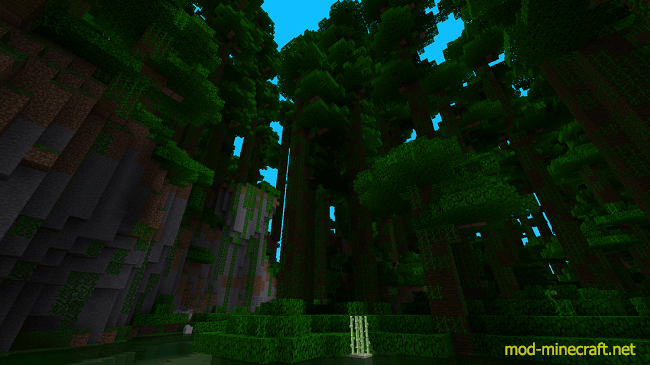 You can find Better Jungles and Small Jungles. They have green colored water and a nice light blue sky. 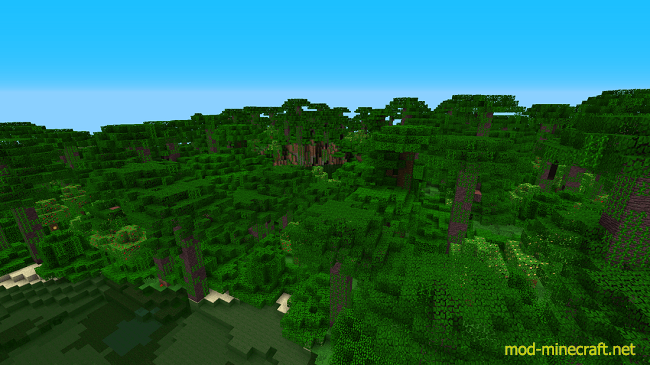 Better Jungle have more huge trees per chunk and they have more and higher bushes. and their terrain is much flatter. Bamboo can be found every where like suger canes. They are used to make bamboo blocks and buttons. and out of them mahagoni wood buttons. This is like cobwebs only that it still kills when you are to deep in it. 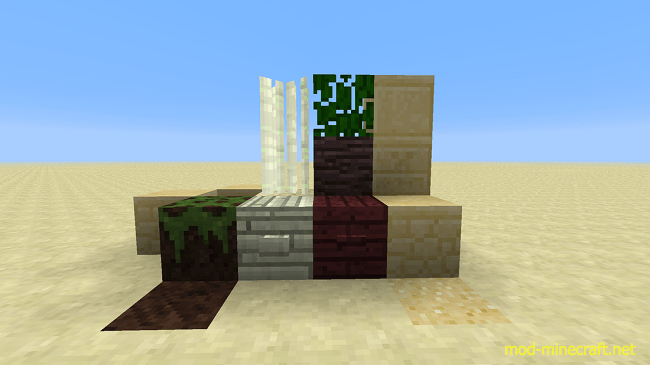 You also can make make out of it all three sandstone types. 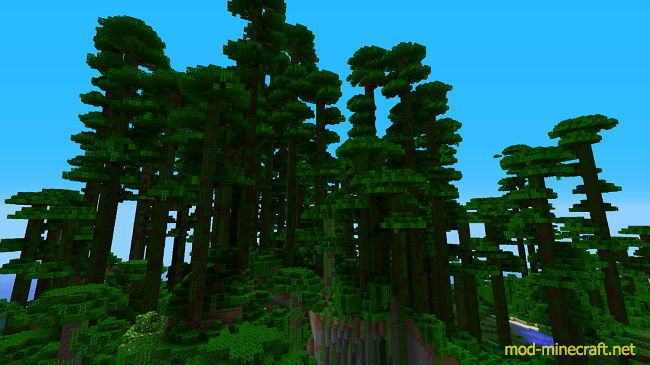 This will be the new ground of jungles, but will come later. There is also a overgrown version of it. This leaf type is like cobwebs. This little weapon can be stacked up to 2 and can destroy default jungle plants with one hit. This is as strong like stone swords. There are 4 new kinds of fruits. 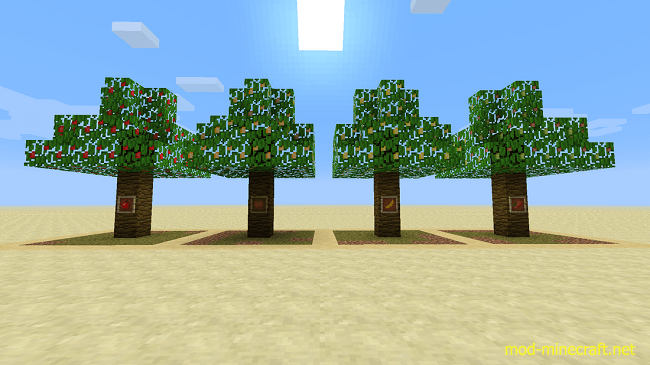 They have their own leaves on small jungle trees (apples too). This fruit is like the golden apple only that it gives more golden hearts. It has 2 types too.